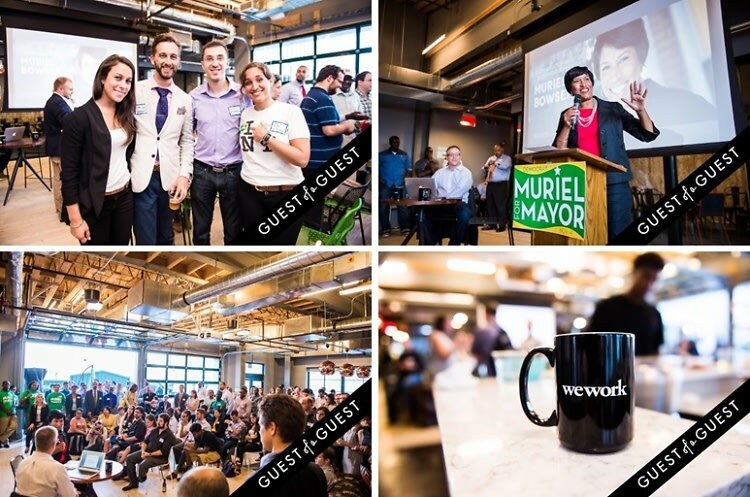 DC Democratic Mayoral Candidate Muriel Bowser held an event at WeWork's Wonder Bread Factory, a co-working space with several locations in the District, where she spoke candidly to DC's tech and startup community. The event was held in a "town hall" style where members of the audience were allowed to ask Muriel Bowswer questions about the future of technology and entrepreneurship in the city. The host committee that planned the event includes Adam Zuckerman, Nancy Prager, Shana Glickfield, Ximena Hartstock, Shaila Ittycheria, DJ Saul, Katie Gage, Shana Glenzer, Emily Morris, Roberto Munita, Jeb Ory, Gadi Ben Yehuda, Jean-Claude Brizard, and Carl Pierre.